Mornimg mist always a pleasant addition to a picture. 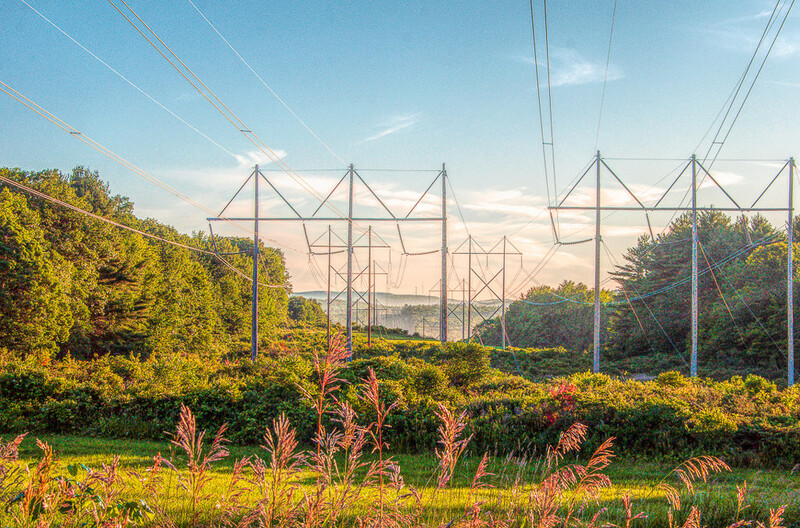 Beautiful layers, you've made power lines look lovely! A great title for a great shot. Great light and tones. A wonderful shot. nice shot and perfect title … I always try to avoid power lines so I like that you intentionally made this photo of them! Beautiful. The electrical lines always catch my eye. Yes we have become quite reliant on electricity. Great title for a great shot. I love that mist in the distance. I don't know why but it almost has a fall-like quality to it. Goodness, so many wires and poles, trying to blend into the environment... Fabulous light.